I’ve been developing websites since I was 15, back when the internet was accessed via dial-up modem, and Facebook and Google didn’t even exist. I saw the web’s potential for allowing anyone to publish something that could be instantly viewed and helpful to anyone around the world. I studied Astrophysics at Cambridge, with a Masters in Computer Science. I was always interested in analysis, and using data to learn and improve. The Masters allowed me to build more complex web applications, and from that moment I knew I wanted to create a web startup. Unfortunately, that was in 2001 when the internet bubble burst, so not the ideal time to get involved in startups. SmarterQueue is actually my 4th startup idea, and the three previous attempts all provided valuable learnings, without which SmarterQueue wouldn’t have succeeded. The first startup was a family friend’s idea, AuctionYourProperty; I built all the tech. It gained some traction and press coverage, and a few partnerships as an auction site for national art projects, but not many people were prepared to “put their home on ebay” in the early 2000s. My second startup idea was a portfolio hosting site for photographers and artists. The current options were clunky and didn’t look great, so I spent 6 months building the tech. I failed up front by not validating that there was a strong need, and never actually launched the product. However, a lot of the code created is still in use in SmarterQueue, and I use it as a full archive of all my fashion and ballet photoshoots, even to this date (http://claude.gallereasy.com). My third startup idea came from doing lots of photoshoots with models and make-up artists. I had seen how annoyed creatives were with the leading networking site (ModelMayhem), and after 3 years of thinking about it, I set about creating PORTFORA – more modern design and UX, with a higher calibre of professionals through careful curation. It reached over 1,000 members in the first month, but failed to grow virally. Users wanted paid job listings rather than another portfolio/networking site to maintain. One of the main marketing tactics for promoting PORTFORA was to share our users’ own content – I had thousands of amazing photos created by our members, and tagging them often resulted in retweets, which grew our brand. With 15 types of social content to share, there was no easy way to schedule them with current social media tools. I’d already built social scheduling as a platform feature, so simply extended it by adding category-based scheduling, which meant I could just fill up each content bucket with photos, and they’d automatically get mixed in the perfect ratio. I attended dozens of startup networking events in London and Vancouver, and spoke with hundreds of founders, entrepreneurs, and marketers. I asked them if they had similar problems doing social media for their startups, and I kept hearing them say how much they hated their chosen social media tool; that it was so time-consuming to keep finding and scheduling content, and they got low engagement as each post got seen once and then lost. 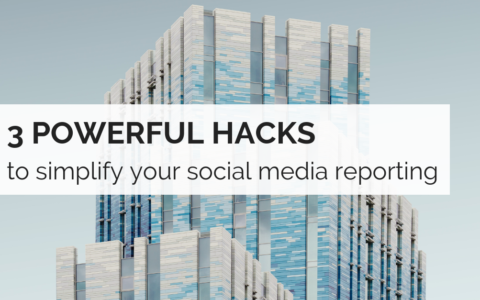 I got so many valuable insights about their pain points, and what benefits they valued, that I felt I’d validated the need for a better social media tool. I also received one pivotal piece of advice from Boris Mann – I was currently splitting my time between PORTFORA and the incipient SmarterQueue, and progressing each of them at half-speed. He pointed out that PORTFORA was barely growing, but SmarterQueue had thousands of people waiting to use it. From that day onwards, I stopped working on PORTFORA, which helped SmarterQueue grow that much more quickly. While growing PORTFORA, I attended Startup Weekend in Vancouver, and was introduced (the hard way) to Lean Startup methodology. I spent the weekend building a functional tech product, which didn’t earn us any points, nor did it ever get used. Luckily it was only 2 days lost, but taught me of the need to validate ideas with mockups and simple MVPs, instead of spending ages building tech that may not be needed. I then read Ash Maurya’s excellent book Running Lean, which crystalised the learnings from my previous startup attempts, and gave a blueprint for how to validate an idea. I released a simple landing page, showing mock-ups of the social media features I’d built in PORTFORA already, and showcasing the benefits. After visitors joined our pre-signup mailing list, they were offered a referral link to share with their network; sharing the referral link earnt visitors both earlier access to SmarterQueue and free subscription months for each referral. Adding the pre-launch product to BetaList drove lots of traffic to the landing page, and combined with the referral program, it got 1,700 emails in 2 days. This was all the validation I needed, to get a working MVP built. 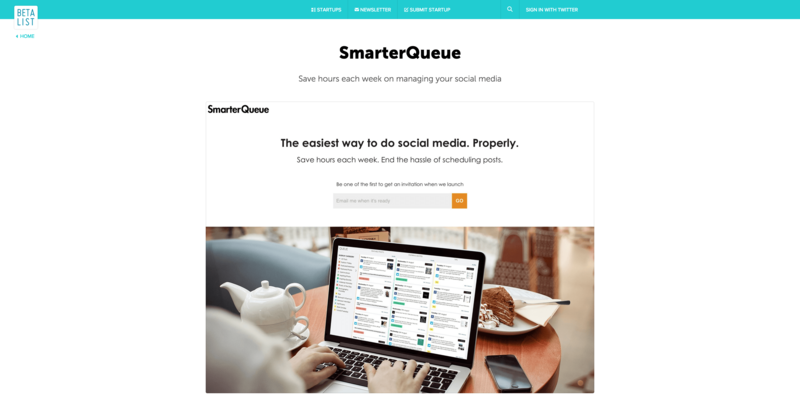 I re-branded the existing PORTFORA code to SmarterQueue, removed all the photography/portfolio functionality, improved the social media scheduling, and invited a few hundred of the pre-signups to become free beta testers. I did a lot of customer development in the first 6 months – having regular Skype conversations with several users, watching them use the beta, listening to them explain their social media workflow, and what their pain points were. This was invaluable in ensuring that the product actually solved their problems, and gave them value. I created a Feature Request board, to collect user feedback, and let users upvote their most-needed features – this helped validate which features were most important to build first, and which weren’t worth building at all. After a few months of beta testing, finding out the price sensitivity of our target audience, and building the required payment/subscription functionality, I started charging beta users, to validate that the product was something they’d actually pay for. Enough beta users upgraded for me to validate that the beta version was already a competitive alternative to existing tools on the market. Unlike many entrepreneurs, I was very fortunate not to have needed to raise funds. I have a technical background, so was able to code the product myself; I had savings to rely on while building the product; and have enough design and business experience to be able to cope as a sole founder, and get a working product into the hands of customers, that they were willing to pay for. As our user base and revenue grew, it was invested straight back into the product. 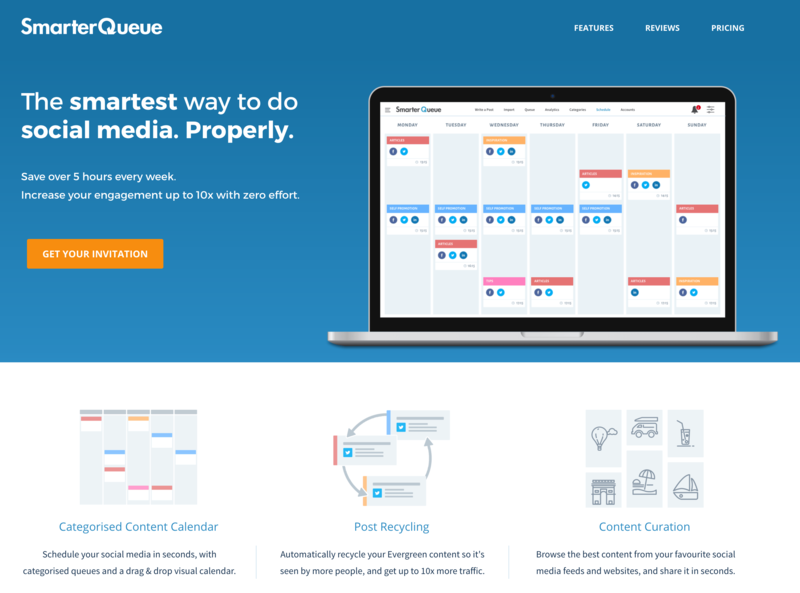 The goal was to keep SmarterQueue completely bootstrapped and grown from organic revenue. This was a conscious decision, as raising venture capital can be a full-time job of its own, it means you become accountable to someone else, and you have a limited runway in which to start generating revenue, or else you have to raise another round. More importantly, it can be a distraction from what’s important – validating that you have product-market fit, and getting paying customers. If you haven’t validated that you’re solving a problem that customers are willing to pay for, it’s extremely risky to spend even more money in the hopes that at the end of it all, you’ll be able to find customers, and what you’ve built will be something they’re willing to pay for. By growing organically, every decision we made, and every feature we built, was guided by customer feedback. This has been a core foundation of SmarterQueue even before the business was formed – listen to customer pain points, check that they’d be willing to pay for the solution, and then building something to solve their problem. As our monthly recurring revenue started to grow, I hired more part-time contractors to assist with customer support, and development tasks – this was an affordable way to grow the business without worrying about large salary costs each month, and while there weren’t full-time roles that needed filling (e.g. our customer support workload only required a few hours each day). We became profitable in 2017, and have remained profitable and cash-flow positive ever since. I had coded PORTFORA and SmarterQueue on my own, and for a while I was able to manage everything myself, helped with a few part-time contractors. In the early stages of SmarterQueue’s formation, I did seek a co-founder, and worked for a few weeks with someone with a marketing background, but as is often the case, it didn’t work out. I decided to continue as a sole founder, and grow a remote team of contractors as the business revenue and workload grew. I was splitting my time between London and Vancouver, so it didn’t make sense to lock down hiring to only one location. I’d never been a fan of offices as a working environment, and didn’t see the need to pay all the costs associated with office rental, or co-working spaces. Being able to hire anywhere in the world meant a much wider talent pool, and also more affordable rates by avoiding high-cost cities like London or Vancouver. As a SaaS product with a global customer base, it gives time zone advantages – not just for customer support shifts, but also handing development work back and forth between teams. We had a very clear precedent from Buffer, in exactly the same space as SmarterQueue, and with a completely transparent guide to what they had done, and their journey/learnings. As the customer base grew to 2000 paying customers in 2018, there was sufficient revenue to start building a dedicated team, and we grew from a part-time group of 3-5 people through 2016-2017, to a team of 15 people today. There are 3 team leads alongside me, managing our Customer Success team, Developers, and Marketing. One of the hardest aspects of this change for me has been the challenge of stepping away from doing tasks myself – given I was so used to being the person who did everything, for 2 years. It also means I have to put more trust into the team leads, as well as each team member, to complete tasks to a high level, and follow through on my vision. We’ve made a few hires who didn’t quite meet the standard that I expect, and we’re now being more mindful and slow when it comes to hiring the right person, not just from a culture fit, but also quality and attention to detail. One thing that I’m very proud of is that the gender balance within our team has always been 50:50, including the management team, both of which are especially rare in the tech world. I am a staunch feminist, and regularly support Women in Tech events, as well as mentoring female entrepreneurs, and teaching girls to code. About ⅔ of our customers are women, so it’s important to have a strong female presence in our team. BTW, we’re hiring! If you’re interested in joining our team, we have roles in Customer Success, PHP/JS development, and marketing. Check out our careers page for more details. Every business will have dependencies, whether it’s partnerships, channels, or the lack of competitors. In our case, SmarterQueue is entirely dependent on social media platforms and what integrations they allow. Over the last 2 years, there have been many events that have shaken up the social media world, which have had a knock-on effect on the development of our product, as well as our growth. Most notably, Facebook and Twitter have come under pressure to prevent the spread of fake news, and election interference, and tighten user privacy. As a result, they have removed various integrations that our product and our users depended on, meaning we were no longer able to provide some of the features that users demanded. In most cases, this affected all of our competitors equally, but it did have a net effect of reducing our value proposition. We noticed that Pinterest and Google+ were the most-requested improvements from our Feature Request board, but felt that no-one actually used Google+, so we prioritised adding Pinterest support. In late 2018 we were accepted as a Pinterest Marketing Partner, just as they started shutting down illegal Pinterest marketing tools (e.g. Boardbooster); while at the same time Google+ announced they would be closing the entire platform. 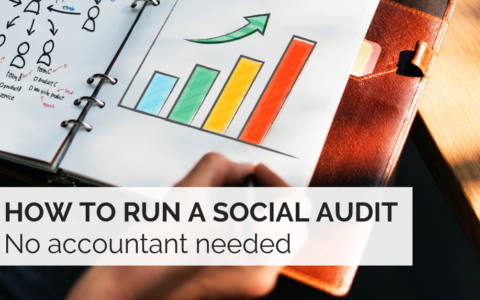 We’re continually monitoring the social media landscape, to react to any changes as soon as possible (including offering our users new features), and trying to predict what may happen in the future, so that we’re always one step ahead. I’ve learned a lot from my 3 previous startup attempts, as well as Lean Startup teachings, and for the last few years have been sharing my learnings, by becoming a mentor to early stage entrepreneurs through great organisations like Startup Weekend, Product Hunt Hackathons, Google Launchpad, MassChallenge, and Forum for Women Entrepreneurs. It is said that 80-90% of startups fail, and even more surprising is that the figure is just as high for venture-backed startups. My own track record matches that, with a 75% failure rate. So why has SmarterQueue succeeded? Domain expertise is a key reason – I’ve been building websites for 20 years, and closely followed social media since Facebook reached UK universities in 2005. Attention to detail – by sweating the details, and not tolerating mediocrity in what we put out. 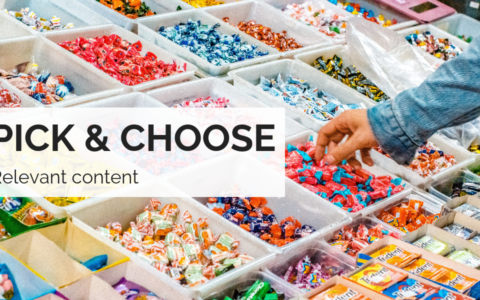 The ability to have fine-grained control over social media posts and schedules is one of the key reasons customers choose us over other products. Lean startup – the entire product has been built by learning first, and using data to drive any decisions. This has allowed for faster development, and less time wasted on unnecessary features that won’t move the needle. Customer development – by understanding exactly what our users manually do for social media publishing, and what their pain points are, we were able to build a product that lets them automate their workflow without sacrificing any control. Referral program – we haven’t done any major marketing campaigns to date, as all of our growth has come from word-of-mouth referrals. Having a referral program has meant we receive a steady stream of traffic to our website, and rewards our users for spreading the word, and writing product reviews on their blogs. It is genuinely the most scalable and affordable marketing channel possible. SmarterQueue has changed a lot since the days of being a one-person company. We’ve got a great team, and are continuing to hire. Our current focus is now on accelerating our growth, optimising our conversion rates, and reaching more people. We’ll always be investing heavily in product development, as there are dozens of competitors playing catch up. We still have some missing features to add, as well as dozens of new features that we know would add value to our target audience, and keep us ahead of our competition. We’re building better processes and documentation, both for our internal team, and also our customers, and will continue to focus on conversion rates as our KPIs. There are many more learnings to share, about being a sole founder, having a fully-remote team, pricing, metrics, our tech stack, what tools we use, and about social media specifically. Feel free to ask any questions about these, or anything I’ve written above! Claude is the Founder and CEO of SmarterQueue.